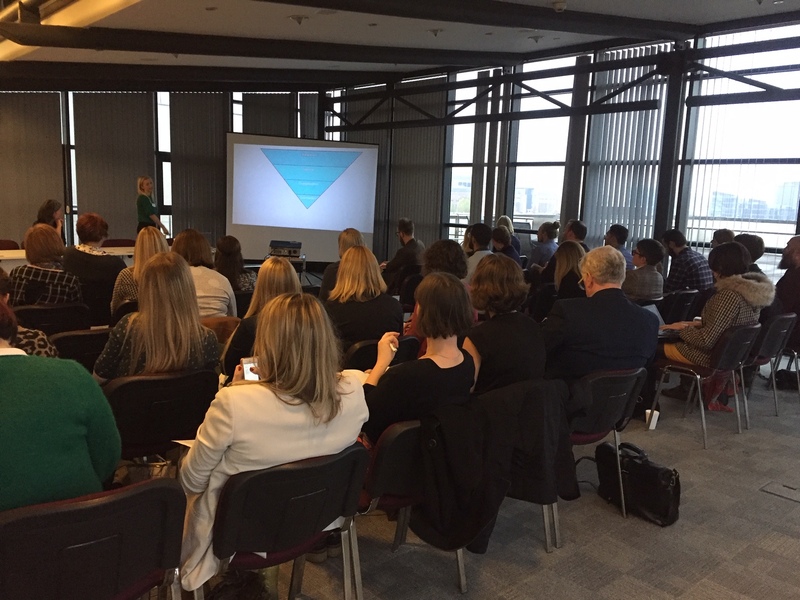 Our Stempra tour of northern cities arrived in Leeds this month where we got to work tackling more of PR’s most pressing challenges along with around 40 colleagues from higher education, NHS and charity organisations. Petroc Sumner, Head of the School of Psychology at Cardiff University, joined us to share early results of the InSciOut study which aims to improve the way health-related research is reported in the media. In particular, the study looks at whether press officers and scientists have the power to improve the bold over-claims made in news headlines. We can’t report on this in detail as Petroc is hoping to publish the study soon – watch this space! Nick Howard, from Leeds film company, Limehouse, showed some great examples of how film can be used to promote STEM. We’re all storytellers, and it’s inspiring to see how others have brought research to life through film – but we also want good value for money when commissioning these sorts of projects. By asking for film snippets alongside the main project, you can build an asset bank that can be used more widely. Nick also confirmed the value of ‘self-filmed’ footage, taken on smartphones. According to Nick, audiences are more forgiving of these more spontaneous clips and appreciate their authenticity, particularly on social media. Ellie Dobson, from AprilSix Proof and Andrew Smith, from Escherman, shared some up-to-date thinking on the ever-thorny issue of PR evaluation. Ellie’s breakdown of the evaluation process offered some practical approaches to measuring how PR campaigns have contributed to your organisation’s goals. Andrew, meanwhile, delivered a whistlestop tour of some phenomenally sophisticated – and free! – online tools that could, if we learn how to use them, deliver rich insight into PR activities. Ellie and Andrew have already delivered this popular presentation at one of our London events during the summer, and we may need to consider printing tour t-shirts as they will also be speaking at a Stempra Scotland event in December. If you’re interested in finding out more, Stempra’s Daisy Barton has written a great report for the Stempra website. In our final session, we met journalists Victoria Gill, David Adam, and Kate Ravilious. Each of these three work in very different ways, with different pressures and priorities. As a national broadcast journalist, Victoria is particularly keen to hear of potential stories far enough in advance to be able to arrange film crews, while as a freelancer Kate likes to follow progress of fascinating research so she can gather material for longer feature articles. David, a former University of Leeds PRO, is currently working as an op-ed editor for Nature, so needs fewer press releases, but more academics who can make themselves available – and have interesting things to say! One learning point all three agreed on was that Fridays can often be very quiet in the newsroom and therefore a good time to send your media releases… Over to you guys!